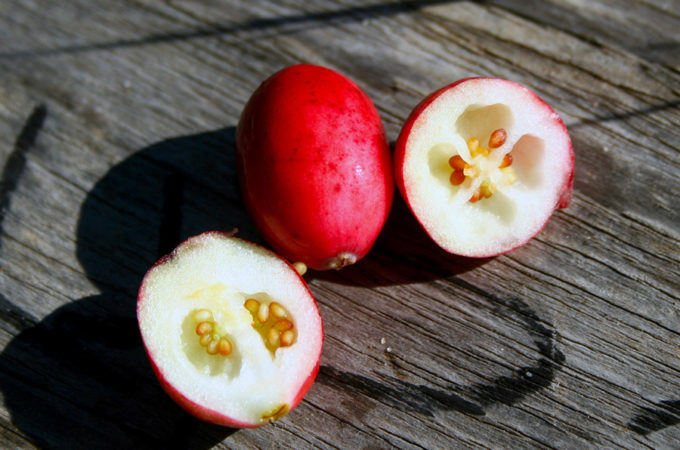 Cranberries are native only to North America. There are only three commercially grown crops that can make this claim – cranberries, blueberries and concord grapes. 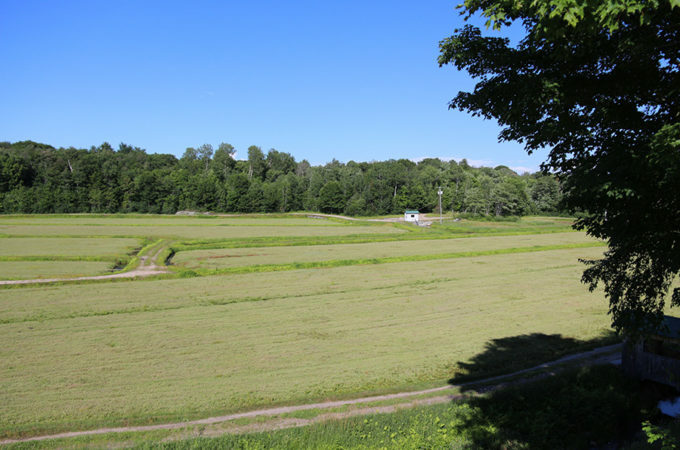 William MacNeil planted Canada’s first commercial bog in Nova Scotia in 1870. 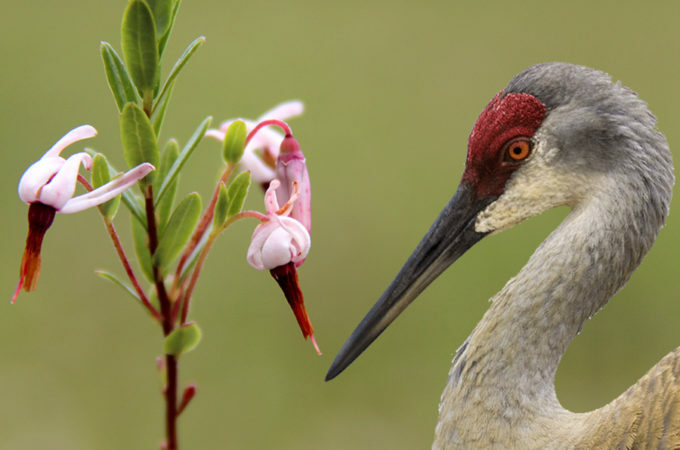 Early settlers thought the cranberry blossom resembled the head of a crane and called them ‘crane berries’. Cranberries were so important to early settlers, laws were passed in some areas to prevent wild bogs from being picked illegally. Cranberries DO NOT grow in water! 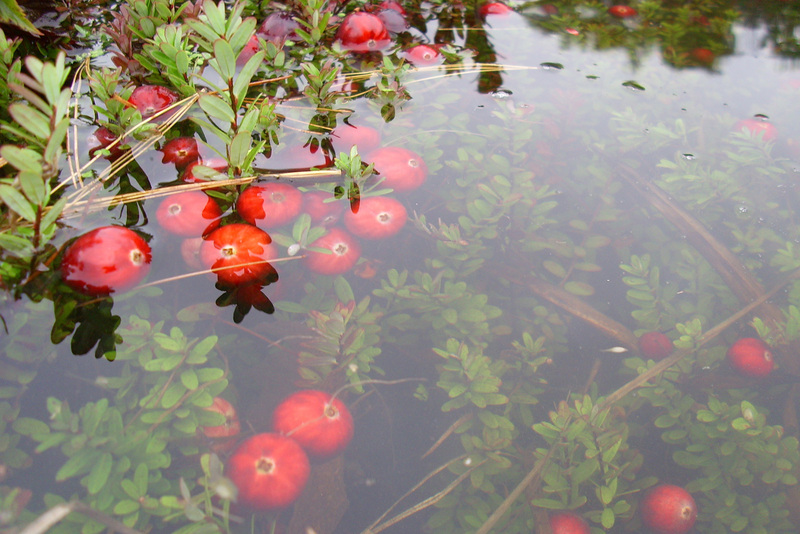 Cranberries are harvested in water because it makes picking easier. Cranberry vines form a dense ground cover. Flooding floats the cranberries out of the tangled vines, making them easier to pick. Cranberries are commonly planted from cuttings, not seeds. 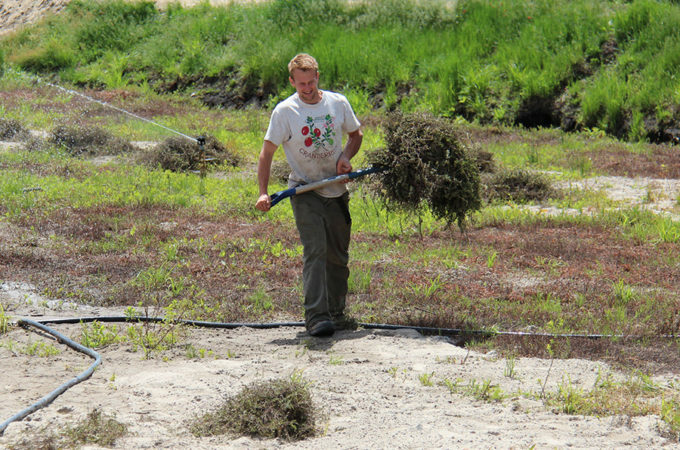 Cranberry vines don’t need to be replanted. They can continue producing indefinitely. Our beds have been producing for over 60 years. You would only replant if you wanted another variety. 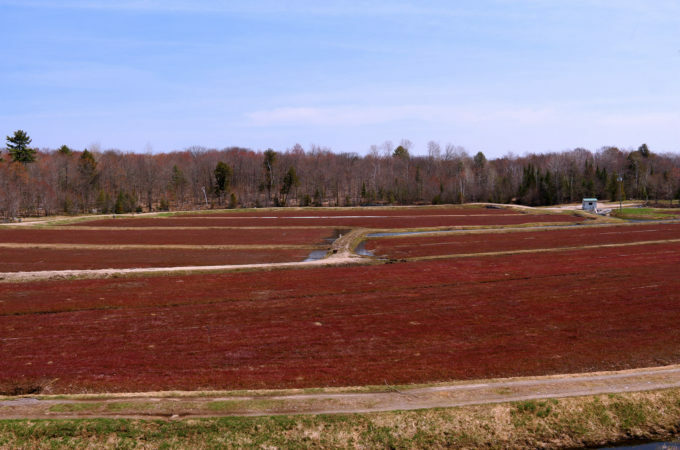 Cranberries are perennial, but it takes 5 years for a newly planted bed to become established and produce a full crop. 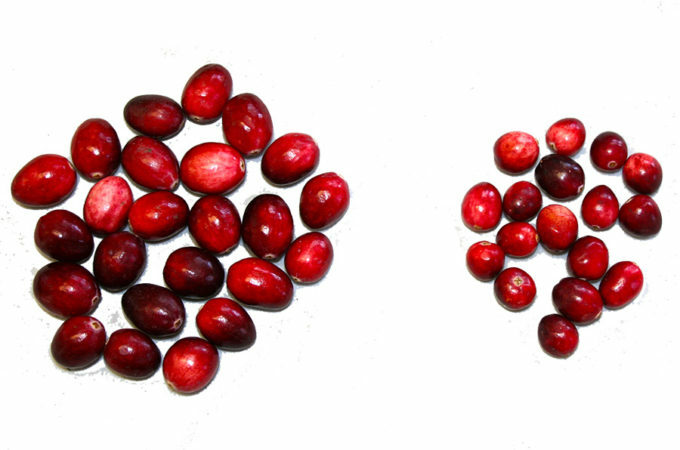 Cranberries grow on an evergreen vine – that means they keep their leaves year round, but the leaves actually turn deep burgundy during the plant’s dormant cycle. 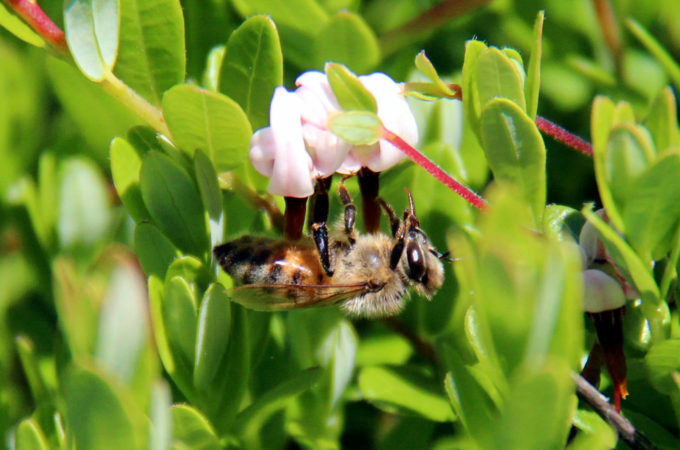 Each grain of pollen a bee brings to the blossom means another seed in the cranberry. Cranberries need at least 20 seeds to be viable. 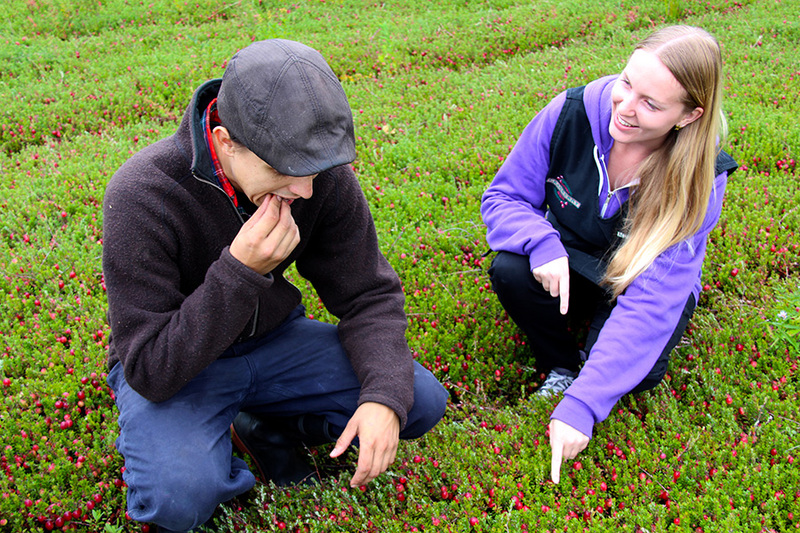 Commercially planted cranberries are Vaccinium macrocarpon. Within the species Vaccinium macrocarpon, there are over 100 cranberry varieties. We grow 5 different varieties on our farm. 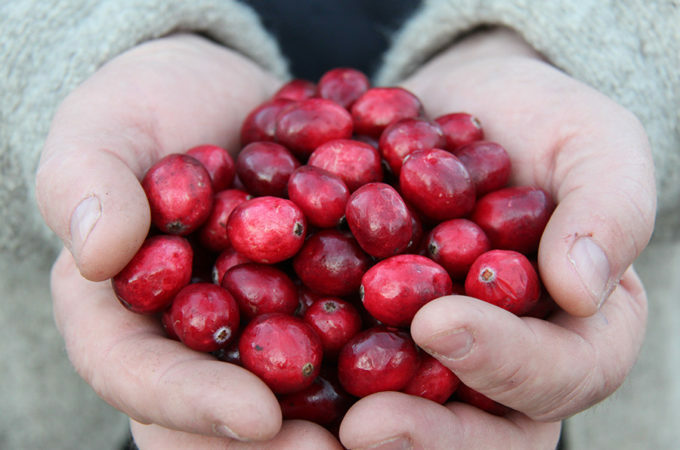 North American cranberries have cousins in Europe. 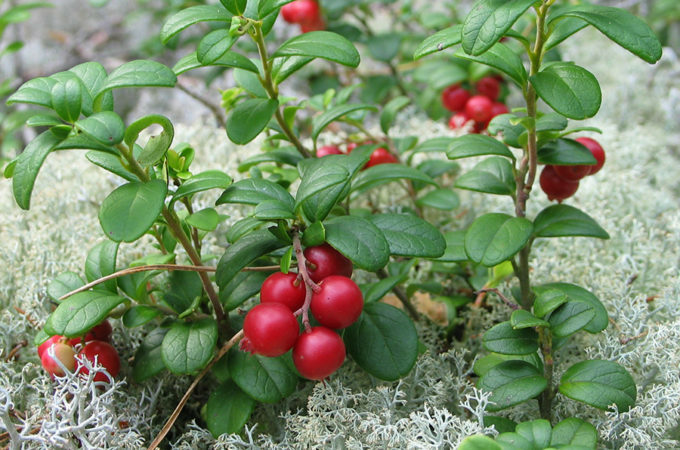 Vaccinium vitis-idaea is known as the preisselberre in Germany, the lingonberry in Sweden, the cowberry in England and also partridge berry, foxberry, upland cranberry, rock cranberry and mountain cranberry. Another cousin is the blueberry. 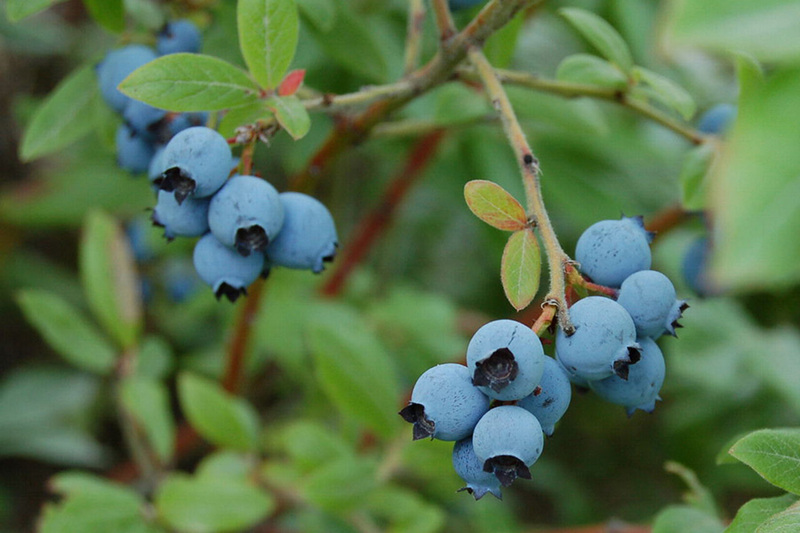 Vaccinium angustifolium is the name for lowbush, or wild, blueberries. There are many other familiar berries within the Vaccinium genius.